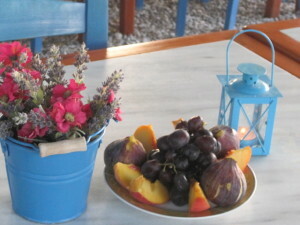 Yoga Holiday in Greece (Lesvos) 10% discount now! 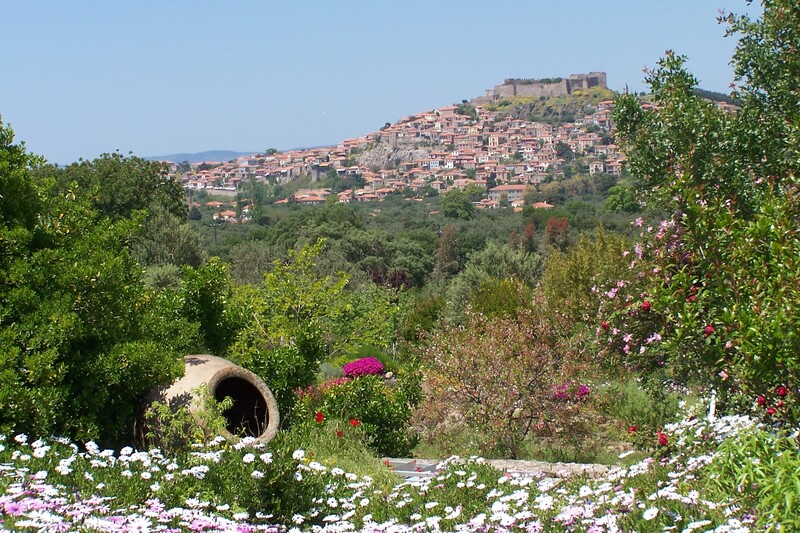 In August 2014 we are going to the Greek Island of Lesvos for a Lovely yoga holiday. Long morning yoga classes nourishing your body with sensitive slow-flowing practices allowing you to go deeper day by day without pain or struggle. Dynamic yoga is coming from a deep respect of the body you have today and will never force you into painful postures or demand excess flexibility or strength. Beginners will get a solid foundation for a home yoga practice and advanced students will get support in tuning into the more subtle depths of yoga. We welcome families and friends to come and stay with you during the retreat. You will receive around 30 hours of teaching over 7 days. Yoga posture practice is mainly taught between 8.00 and 11.30 and meditation takes place in the evening. A few afternoon sessions will also help you clarify the practice and allow you to go deeper the next day. This venue has space for you to bring your family, friends and loved ones. Feel free to bring extra guests and we simply knock off the yoga from their price. All teaching takes place in fluent English or Danish as required. August 3rd. Arrive in the evening at Milelja retreat center. Settle into your room and have a dip in the pool. Warm welcome in the yoga room for introductions. A simple meal, a cup of tea and then early to bed. If you arrive earlier in the day contact the retreat center about the possibilities for an earlier check in. August 4-9th: Each day begins with a long sunrise yoga class in the mild morning air starting around 7.30. A gentle pranayama practice prepares your body for a long, slow-flowing series of yoga postures gradually awakening the feeling intelligence of your body. Birgitte will guide you through 6 progressive posture practices allowing you to sensitize, recalibrate, mobilize and strengthen your body without struggle or pain. Each morning class lands you gently in a long, deep relaxation and awakens you to seated meditation. We close the morning session with a short talk/dialogue related to the theme of the day. After the morning session, we serve a tasty brunch buffet. Most, your afternoons are free for you to cool off at the beach, have a massage or explore the island with your new friends. Two afternoon sessions clarify the dynamic yoga training method and help you to adjust the practice to the needs and capacities of your body. These sessions work as a support function to the morning classes and take place through dialogue, little experiments on your yoga mat sometimes working in pairs. In the evenings, you are free to explore the local village life and restaurants. Thursday night we have scheduled a dinner at the retreat center for all of us. Each night before bed time Birgitte will lead a seated meditation allowing your mind to go quiet. August 10th: A short sunrise yoga class and a beautiful sharing experience to end our week together. Rooms need to be checked out at 10.00 but you are free to use the pool, shower and yoga room after the morning practice and breakfast if you have time before flying off. 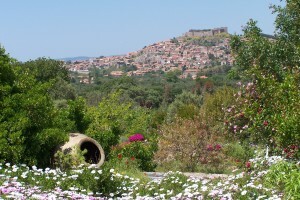 Milelja Retreat center is at the northern tip of the island of Lesvos and has been a popular yoga holiday destination through many years. Milelja specializes in hosting yoga retreats and offer a peaceful and protected atmosphere and accommodation in single and double rooms to fit any budget. Our clorine-free swimming pool is filled with mineral water from the local hot springs and the quiet beach is only a 10 minute walk away. The local village Molyvos is kept in stile with the old buildings and narrow streets offering a variety of small taverns and cafes. Our wooden yoga room is round and has a beautiful view to the mountains and village. Your trip includes: 30 hours of yoga and meditation, accommodation in single or double room, 6 X brunch buffet, 1 dinner, 1 evening meal upon arival, 1 breakfast upon departure plus complementary tea, coffee and water. Flights and local transportation is not included in the price. Remember to book your flight in due time as august is the high season for this island and flights may get fully booked. 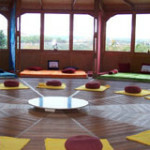 You secure your space in the retreat by paying a deposit of 200EUR/ (appr. 1500 DKR). Note that deposits are non-refundable and not changeable for dates. The remaining amount (188 EUR) is due at may 1st 2014 in order to keep your space in the retreat. Boking is done first cvome first serve. Write an email to info@dynamicyoga.dk to book or enquire more. Airport taxi: our hosts at Milelja will organize airport taxi. Price is 70 € per person (paid in cash upon arrival). You have to let us know if you want to book a taxi through milelja. Note: These prices does not include plane tickets and dinners outside retreat center.